Type TV shows with the rules of Title contains all my TV shows and In progress true. This is close to what I want but it shows the TV shows thumb and not the most recent episode thumb on the Android TV launcher screen. It also opens up to the current season screen instead of the current episode. I have tried different episode settings and rules for hours and can't get a Netflix style continue watching shortcut for the next episode. I was hoping someone who has already done this could throw me a bone and post a screenshot of their next episode smart playlist or a short step by step walk-through on how to set it up properly as I am stumped. Thank you. I'm also interesting in this option. I've trayed to make a smartlist only with new episodes (unwatched episode) but the list select all episode unwateched and group by TVShows (doing this for exemple, list all episode from a new added series). I think that is not possible. Has anyone got to generate smartlist with only one Next Episode ? Pretty sure it's not an option. I have just learned to use the in progress TV shows playlist it is as close as you are going to get. It takes you to the shows season level it's an extra click but it was the best I could do. Anyone having problems whit random/wrong movie thumbails appearing only in oreo channels? Like all my library got correct info but on the oreo channel the movie appears whit a random thumbail. I have tried deleting the channel, creating it again, delete the movies from kodi library rescan again ,restart everything without success. This is really [email protected]#ing me off now. Have hlaf a dozen playlists created, all work fine. 2 weeks ago I did a clean install of my shield and installed the latest version of kodi 18 on it from the shield/Google store on homescreen. Channels showed up on home screen, looked perfect... Just how I wanted it. But now they are all gone! No idea what's happened, it's juts gone 7am. Woke up, come downstairs and turned tv on. No kodi channels at all. Looked at channels setup and kodi isnt even available to pick from. Opened up kodi, let it all load up and then gone to shields homescreen, still nothing. (2019-02-27, 09:15)mattyspurs76 Wrote: This is really [email protected]#ing me off now. Is there also a way to replace the tagline with the plotoutline (shown when highlighting media from the channel). It's better to have a short description of the movie instead of just the tagline. When click home button using my shield remote in kodi Leia simply i return in the main menu of shield!!! Could you explain better what you mean ? Is this still working with Leia 18.1? 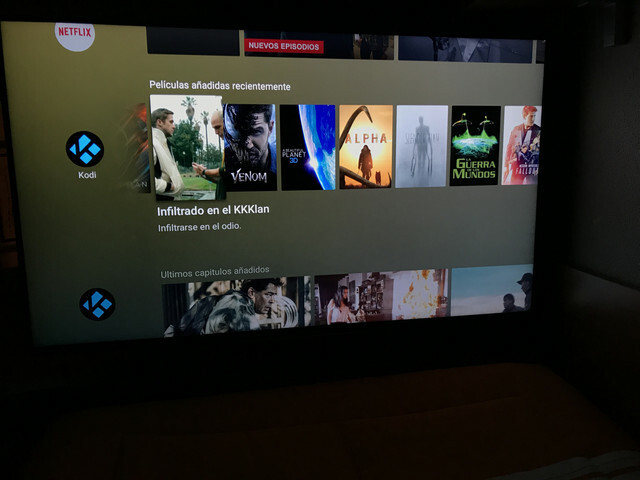 I can select "movies" as kodi channel. Names of the movies show up (channel is not empty), but posters don't. Even after waiting for hours, no change. Seems I am not alone. See below on reddit. Anyone succeeded to get the posters show up on Shield TV main screen? Thats exactly what he means, you start kodi and then go to the home screen. The images are only cached when kodi is up and running. If you don't see it, reboot the shield and start kodi again wait a few minutes then press the home button to go back to shields main menu. Are you referring to regular caching of images or specific to the ones showing up on Shield main menu? 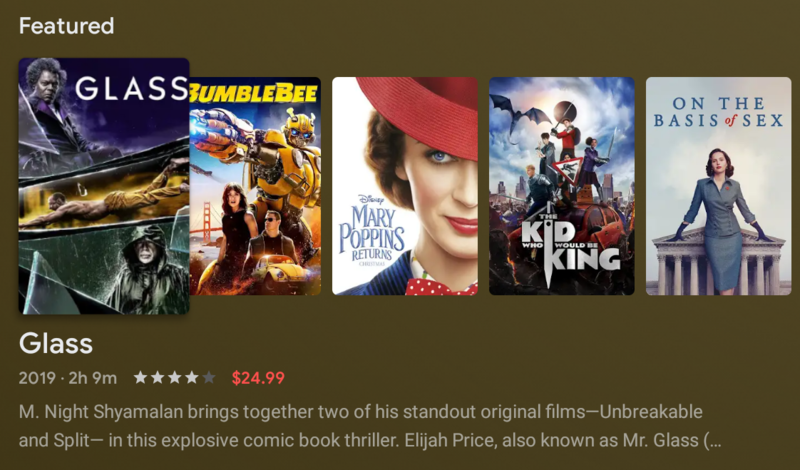 It would also be great if we could have the channels mix and match types of artwork like Plex does. For example, if we could have it show posters for movies but landscape art for TV shows. Thanks! Need to read more though. Is there a way to create a Channel for "TV Channels" with live preview ? None of this is much use if Kodi Android Installer gives not able to update message for 18-2 all the time.